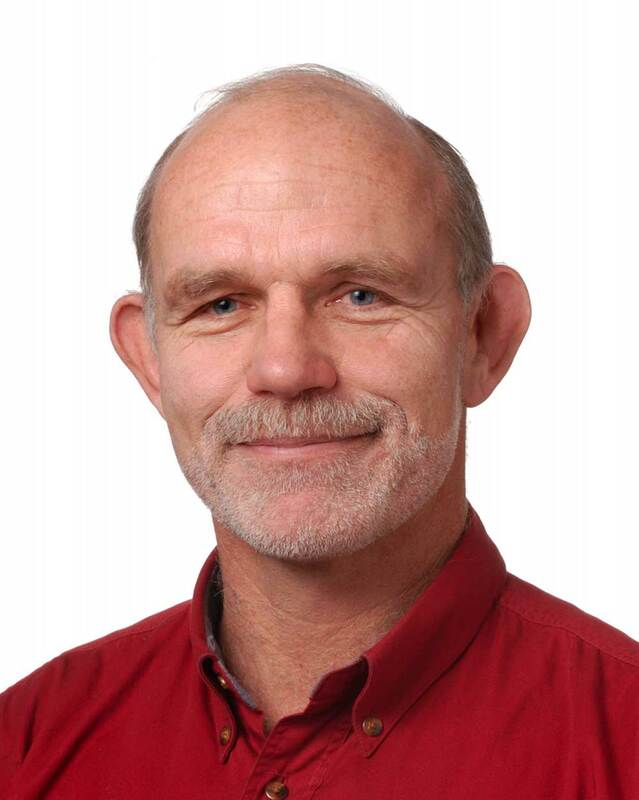 I’m pleased to announce that Professor Ken Hughey (Lincoln University Professor of Environmental Management) has been appointed to the newly created position of Chief Science Advisor for DOC. 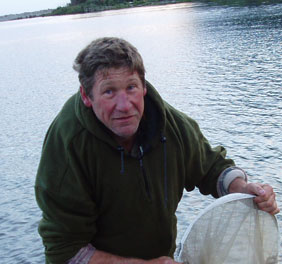 Ken has a strong academic background in freshwater science, introduced animals, endangered species management and public perceptions of the state of the environment. He has worked previously for DOC as a scientist. He will be an independent voice, providing high-level scientific advice to me, the Minister and our Senior Leadership Team. He will also support us to enhance DOC’s position as a key player in the science community by connecting with other scientists within and outside of DOC. Ken’s appointment follows similar roles being established at the Ministry for Primary Industries, Ministry of Education, and the Ministry for Business, Innovation and Employment. These advisors will work together to improve evidence-based input into government policy and decision making. I expect to achieve real value with the free flow of ideas between our existing science staff and Ken, as he helps challenge our thinking, continually improve our evidence-based science standards and demonstrate the enormous value of the science we do at DOC. Ken will be based in our Christchurch office, working three days a week. His two-year secondment starts in December. 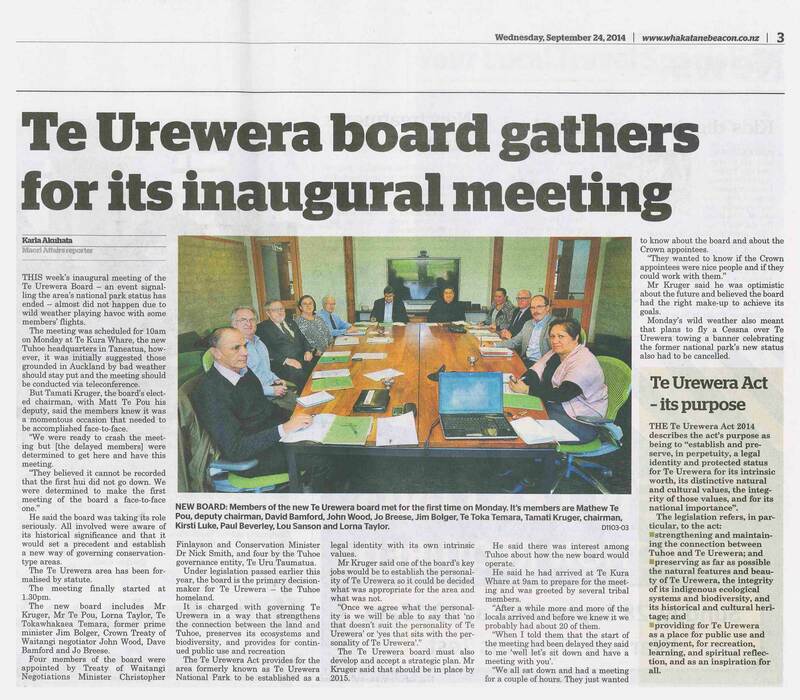 On Monday 22 September the new entity of Te Urewera came into existence, and I was privileged to represent DOC at the first meeting of the Te Urewera Board. Tāmati Kruger was confirmed as the new Chair. The management board is made up of Crown and Ngāi Tūhoe appointees. Their first meeting was focussed on describing the personality of Te Urewera in terms of its mauri (vital essence) and mana. These discussions will continue over the next few months, so the board has a shared understanding of the land’s spirit and identity, its mystery and its remote beauty. This will then form the basis for agreeing a management plan that will bring that essence/personality to life—while ensuring the protected status of Te Urewera’s natural and cultural values, and safeguarding the integrity of indigenous ecosystems. This is a world leading approach to protected area management. DOC and Ngāi Tūhoe will work together to place significant value on Te Urewera and restore mana to Tūhoe in its management of the land, guided by the principles of ewe whenua (place of origin and return). While in the Central North Island, Reg Kemper (DOC’s Lower North Island Conservation Partnerships Director) and I visited Maungataniwha, which is the second largest private land conservation project in New Zealand. The work is run by landowner, Simon Hall, and trustees Pete Shaw and John McLennan. 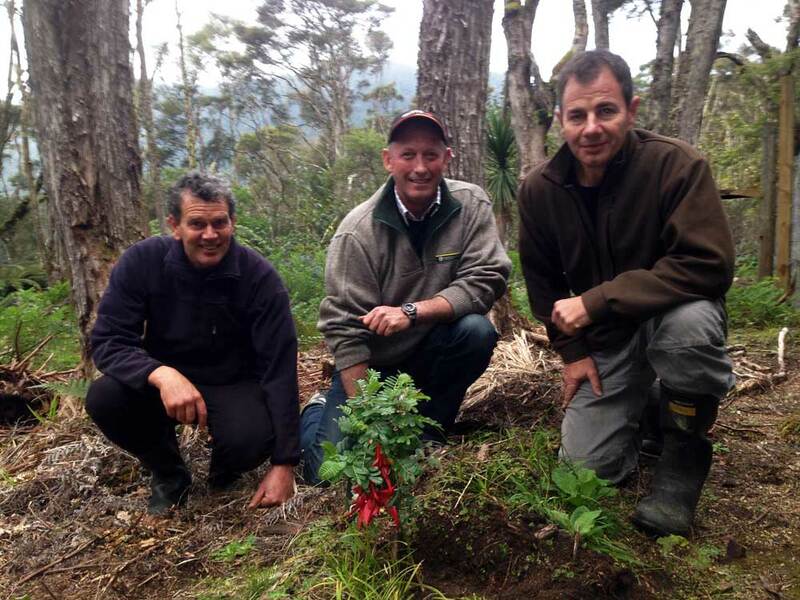 Together, they established the Forest Lifeforce Restoration Trust, and manage 24,000 hectares of land to the south of Te Urewera, including New Zealand’s largest kakabeak / kowhai ngutukaka restoration programme. Amongst other things, the Forest Lifeforce Restoration Trust is overseeing the largest conversion of pine forest to native forest attempted in New Zealand (6,000 hectares). They have also reared a total of 182 kiwi chicks for release back into their forests and Cape Sanctuary, through the Maungataniwha Kiwi Project—supported by volunteers from Tasti Foods and in partnership with Kiwi Encounter Rotorua. Rachel Hunter is the Trust’s patron. I was also pleased to have the chance to meet with staff in Masterton, Napier, Gisborne and Whakatane. 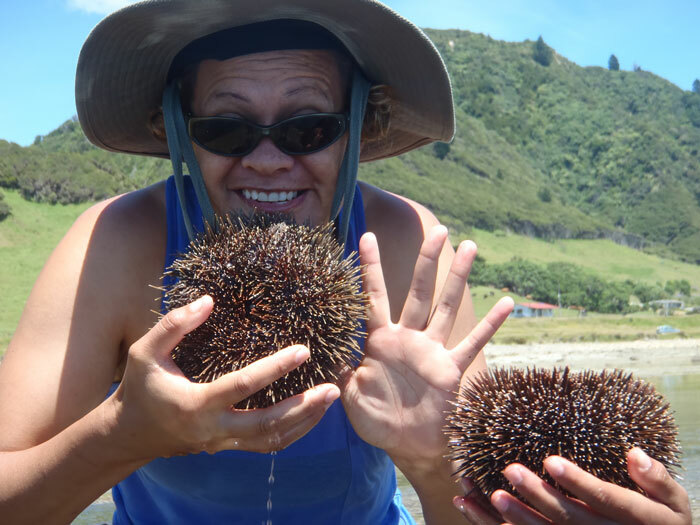 In Gisborne I visited Te Tapuwae o Rongokako Marine Reserve (established 1999). Debbie Freeman from DOC’s Marine Ecosystems team completed a remarkable piece of research in the reserve a few years ago, which tagged 10,000 crayfish. 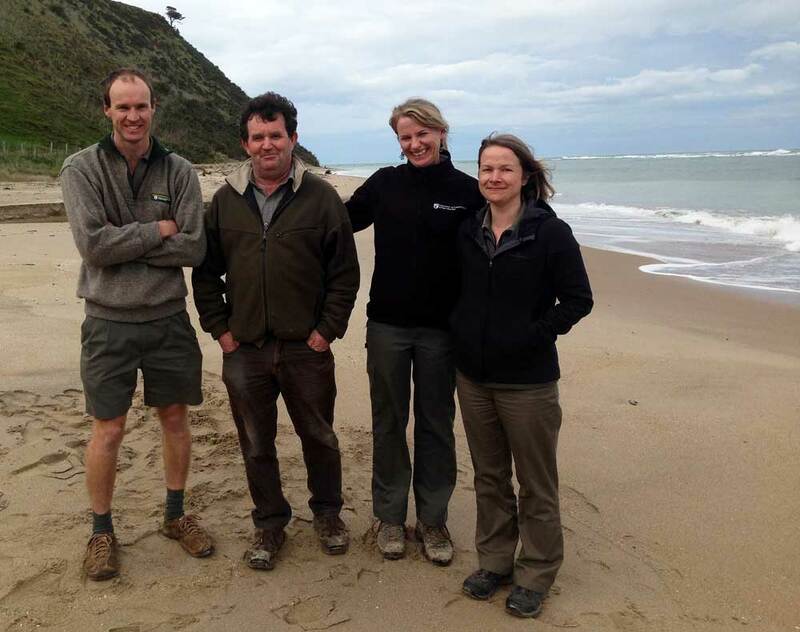 The research was continued by DOC staff in Gisborne, in partnership with local commercial fishermen. We’ve seen a dramatic recovery in crayfish, with a recent research haul of 93 crays in one pot—with fish as big as 3 kilograms. 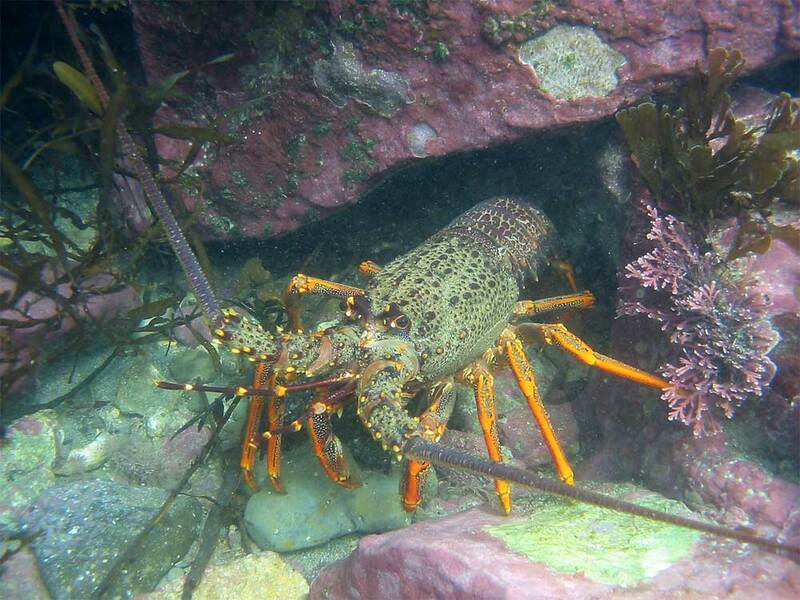 Jamie Quirk has developed an amazing camera system for marine reserve compliance monitoring which has had considerable success in ensuring the crays are protected. Today over 10,000 people are visiting the reserve each year. Another highlight was a visit to Whakatane Intermediate School, where they’ve recently established a state of the art conservation science education centre. We met Principal, Doug McLean, and Environmental Science Coordinator, Graham Henton, who explained how each student participates in 20 ninety-minute sessions of environmental science education as part of their core education. The students are actively involved in restoring an adjacent wetland and native forest. 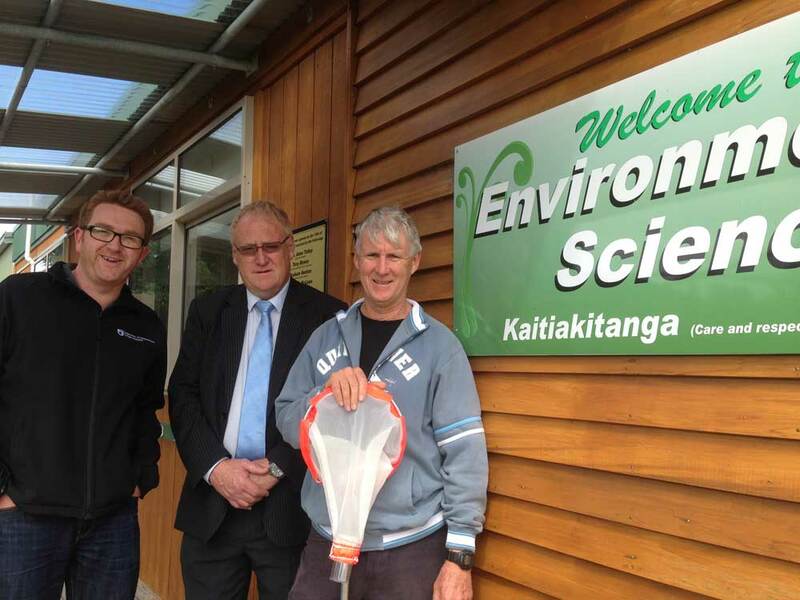 They’re growing native seedlings, planting tussock to restore a wetland, and are out there on the wetland in their kayaks taking water samples and learning about the ecosystems and principles of kaitiakitanga. I was really blown away by this project. It goes to the heart of DOC’s goals to educate and engage New Zealanders of all ages in conservation, and to bring conservation into schools in a way that’s led by teachers and students. 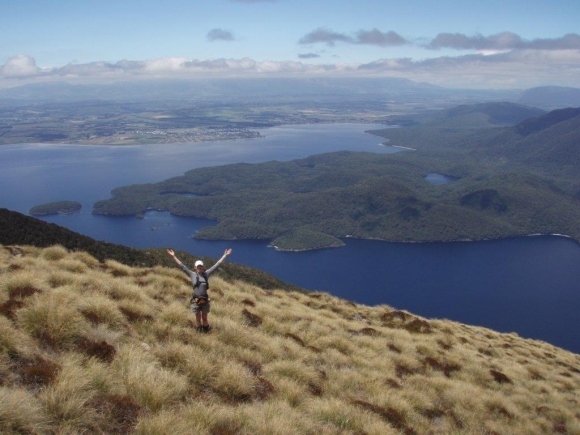 Congratulations to Te Anau Partnerships Ranger Caroline Carter who received the Motel Association NZ service-plus award at the recent Destination Fiordland annual tourism awards, which celebrate and acknowledge excellence from within the local tourism industry. Caroline was the first education co-ordinator for the Kids Restore the Kepler Project, and was described in The Southland Times as an “influential conservation crusader”. Well done Caroline and to all those involved in this project—it’s great to see your work recognised! Today’s photo showcases Whirinaki Forest, the favourite wild place of Tom McMurtry—one of the lucky winners of our recent New Zealand’s Wild Places giveaway. Whirinaki is packed with amazing tall trees, fast flowing rivers, and is home to an array of native species including a variety of magnificent native podocarps. The park is about 100 km south east of Rotorua on State Highway 38. It is within a two hour drive of Rotorua, Taupo and Whakatane. Its beauty can be enjoyed through a comprehensive network of walks, tracks and huts. This photo, of trampers crossing a stream at Whirinaki, was taken by Stefan Marks. Note: Winners of the New Zealand’s Wild Places giveaway were picked at random. Today kick starts Whio Awareness Month. 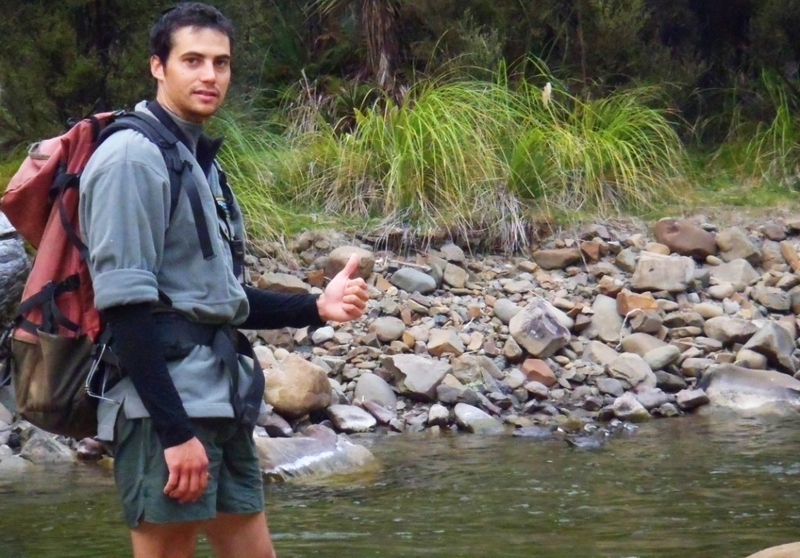 To celebrate, we profile whio fan Tim Allerby, Ranger—Biodiversity Ranger, in DOC’s Te Urewera/Whirinaki Area Office. Providing advice/support for whio related operations throughout the Te Urewera/Whirinaki Area and its surrounds. 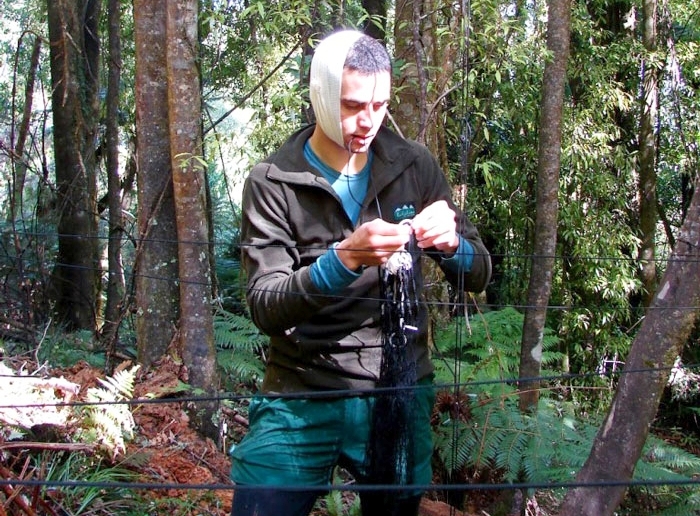 Implementing and managing stoat control operations for whio with the Northern Te Urewera. 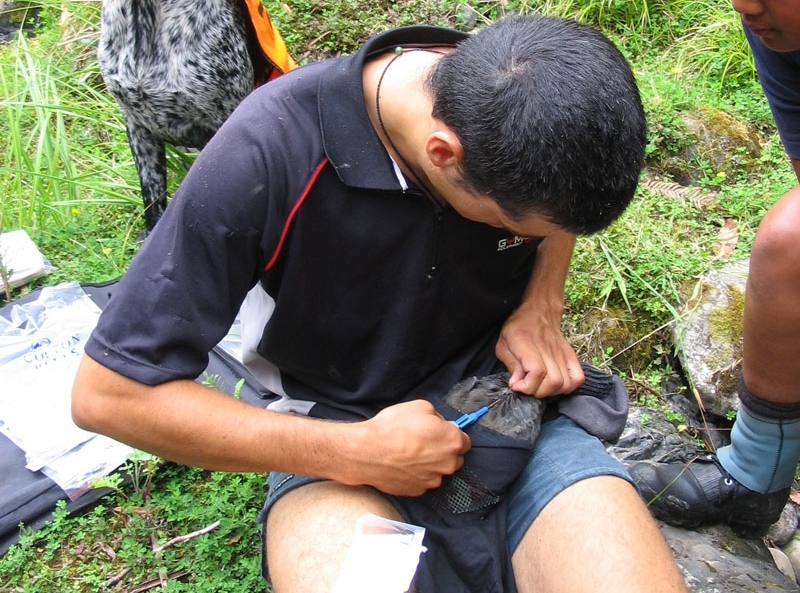 Carrying out outcome monitoring of whio and kōkako. Assisting with the trialling of A24 self resetting traps. Catching stoats and seeing whio chicks on rivers. The eruption of disgust, laughter, and bewilderment from thirty-plus totally sucked in kids and adults after I tasted stoat poo (Marmite) to confirm that it was indeed stoat poo during a mock up whio mortality scene investigation. Captain Whio (aka Andrew Glaser)—without his passion and persistence for whio protection we would not be in the position we are at with respect to whio recovery. All I ever need is you – Kenny Rogers and Dottie West. Waimana Valley in the mighty Te Urewera National Park. Donald Trump. 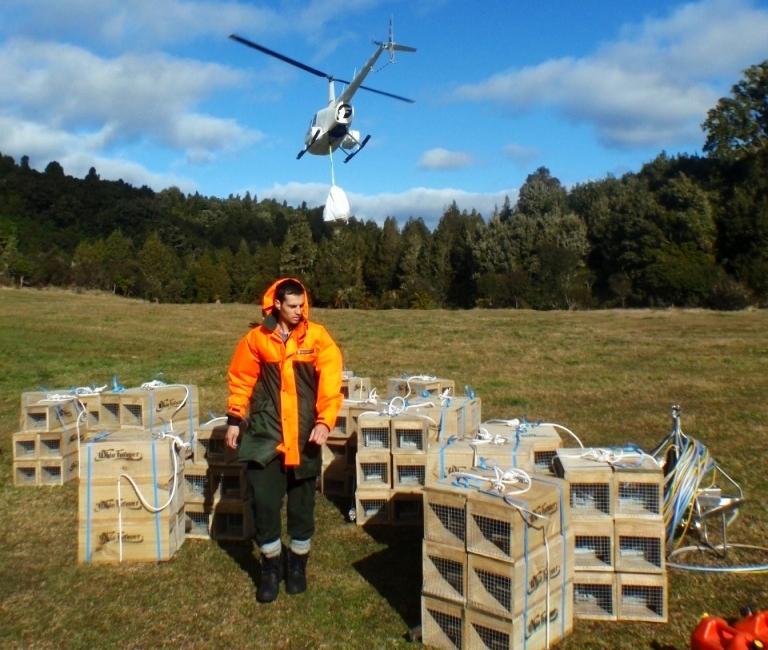 I would cover every bit of New Zealand conservation land in double set DOC200s (traps) and set aside enough money for those traps to be checked once a month for the next 100 years. A karearea. They are definitely the boss of the sky. Become an astronaut. I’d like to look back at Earth from space. Maybe one day Jet Star will do cheap deals? What’s the worst that could happen? – Kobey Brebner. No hunter will ever have surplus brownie points so you just have to realise this and accept it. Doing the best that I can. I always have high expectations of myself in whatever I do so I always push myself to reach those goals. Do as much as you can whenever you can, no matter how little or insignificant you think it may be. ‘Question of the week’ will differ each week. If you have any suggestions for questions, please leave us a comment. Not being the greatest cook I don’t think I can claim a signature dish however I can cook venison a thousand ways. While I am in the bushes I am particularly fond of venison heart, garlic, and onions all fried in a generous lashing of butter. 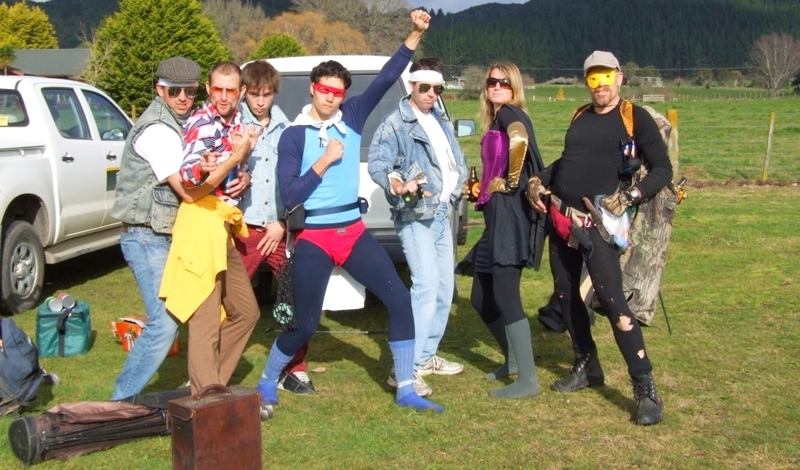 A Band Ranger, (Goat Hunter/Whitebait Compliance), Hokitika Area Office. Are you a Family camper, a Glamper, or a Wilderness wanderer? Definitely a Wilderness wanderer, there is nothing that could top wandering around the special places like Te Urewera National Park. Ranger Visitor Information, Paparoa Visitor Centre. If it comes to camping, I would definitely see myself in the category “Wilderness wanderer”. Even more so, in the category “Camping in the most impossible spots”. 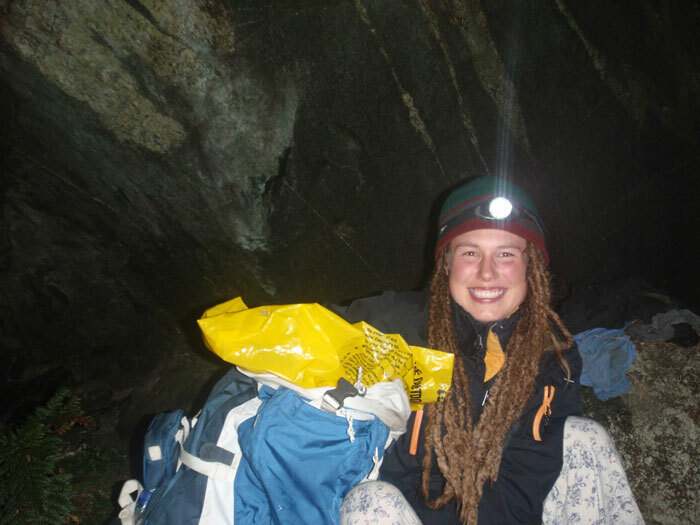 My partner Scott and I spent a whole summer travelling New Zealand and pitching our tent wherever there was a flat bit of ground, discovering the most amazing places to spend the night. We share a tiny one-person tent, but will be upgrading to a two-person tent soon. A Wilderness wandering Family Camper… the more isolated the better! I am planning a family bike ride from Opotiki to Te Araroa (East Cape) over a couple of days, fishing and diving all the way! Will probably have a ‘My kitchen rules’ camp cook off, marbles, bomb competitions…any competition we can think of.